Why should Eugene take action to protect the Amazon Creek Headwaters? Protecting the headwaters of Amazon Creek is vital to the water quality and environmental health of the whole watershed. 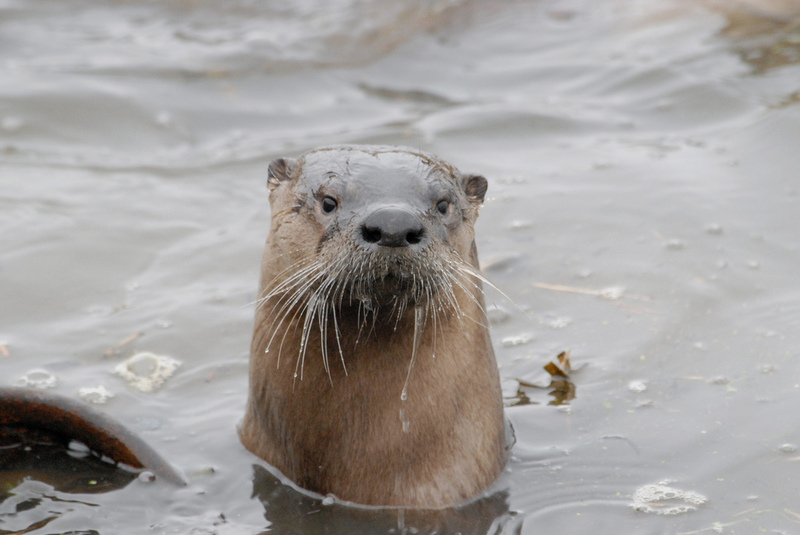 Semi-aquatic river otters contribute to and benefit from the Amazon Creeks’ flow as it moves from the Headwaters down through the West Eugene Wetlands, into Fern Ridge Lake, and the Long Tom Watershed. This property is particularly important because it holds the key to water quality in the Amazon Creek Watershed that cascades down to the health of the flora and fauna that inhabit it and beyond into the Long Tom Watershed. It features three Amazon creek headwaters streams as well as beautiful, relatively unspoiled and undeveloped forest land, wetland and riparian areas. We are concerned about the imminent clear cutting of the forest for roads and houses and the subsequent erosion which will follow. Headwaters have intrinsic connections to landscape processes and downstream receiving waters through their influence on supply, flow paths, and residence times of water throughout landscapes. Also, healthy headwaters provide organic matter that contributes to the growth and productivity of higher organisms. They keep sediment and pollutants out of the streams lower reaches and enhance biodiversity. Fine sediment can embed cobbles and gravels suffocating insects (fish food) and fish eggs that live under rocks and need clean well oxygentated water to flow through. The area is also home to Pileated Woodpeckers, a rare species within the city limits. Headwaters absorb significant amounts of rainwater, runoff and snowmelt before flooding. These streams have significant storage ability and play a critical role in protecting downstream communities by moderating flooding during heavy flow and by maintaining flow during dry weather. Development in this area would create impermeable surfaces (such as roads, driveways, sidewalks). Runoff from these surfaces would increase winter flows within the existing streams on the property. Stream banks would erode resulting in an increased amount of fine sediment downstream to areas in Amazon Creek where investments have been made to improve aquatic habitat. 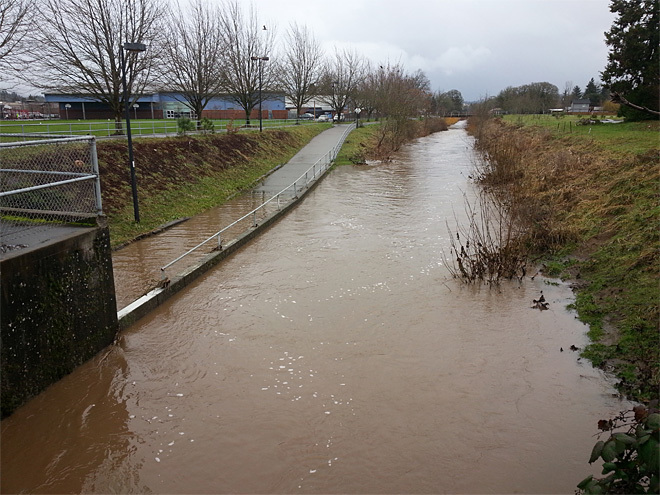 We have protected substantial portions of the wetlands in west Eugene. We have protected the Amazon Greenway to the west and to the south of the downtown area. Protecting the headwaters is critical to realizing the environmental value of these other community investments. This is the last chance to create a public green corridor for the main channel of Amazon Creek to connect from the ridgeline to the greenway. Preservation of critical elements of our open space system and natural ecological infrastructure is consistent with established City of Eugene plans and policies. In particular, Growth Management Policy 17 says, “Protect and improve air and water quality and protect natural areas of good habitat value through a variety of means…”. The Metro Plan Diagram has for years shown a habitat corridor to be preserved connecting the Ridgeline park and the Amazon Greenway. Both of these areas are bisected by Goal 5 waterways which would be damaged by development. Going back to the 1970s, when most of the south hills were still in a natural undeveloped state, the community consensus of South Hills Study outlined the important of upland forest preservation for all of Eugene. Here’s what you can do to preserve the Eugene Amazon Headwaters. Ask the city council to set aside the money (1.9 million) that is now in the Parks Bond fund to buy the Beverly property. Click here to sign the petition to Save the Amazon Headwaters Keystone if you have not already signed the paper one being circulated by David Saul. 1. The 26 acres of the Amazon Headwaters contain three major streams which feed into Amazon Creek running all through Eugene from Spencer’s Butte, through West Eugene Wetlands, to the Fern Ridge area where it joins the Long Tom River, then feeds into to the Willamette River and on to Corvallis. This is the beginning of a whole watershed. WE have a responsibility to preserve this watershed for future generations. 2. This Headwaters area provides storm water management and flood control benefits by absorbing and storing rainwater. Water quality is protected by preventing erosion, filtering sediments and naturally treating pollutants. Independent testing of soil and runoff samples have shown that substantial amounts of arsenic could be released into the Amazon Creek by the development process. Already the Amazon Creek exceeds EPA standards for arsenic. The city has spent many thousands of dollars in grants to restore the Amazon Channel below Martin Street. Now the city needs to acquire this property to protect this most important riparian area. 3. This area is one of the highest quality unprotected natural resource sites in Eugene. The mixed forest, wetland and riparian areas on this land provide a unique and critical habitat for native plant, birds, reptiles, and other animals. Because this land is contiguous with the regional Ridgeline Trail System, it is especially good habitat for flora and fauna . This area has the highest Wildlife Habitat Assessment ranking in the city (66-68 points). 4. Going back to the 1970’s when most of the south hills were still in a natural undeveloped state, the community consensus of the South Hills Study outlined the importance of upland forest preservation for all of Eugene. This is especially true today with global warming, the prevalence of air inversions, and unhealthy air alerts. 5. Threatened and sensitive species are known to exist here including wayside aster (aster vialis) trail bugbane (cimcifuga elata), the red-legged frog, and pileated woodpeckers. 6. This area is an ideal link between the regional Amazon Park, the Ridgeline Trail System and Spencer Butte Park . This corridor provides a direct, off-road access for hikers, joggers, bikers, bird watchers and nature enthusiasts and is accessible by bus. This important linkage enhances the regional park system, benefiting all city park users creating a wonderful recreation opportunity. 7. Community members have worked tirelessly for more than 15 years toward the protection of this fragile area. This unique headwater area is much more valuable to the community as it is now for natural space, special habitat, and water quality than it would be if developed with new roads and 47 houses.